Traveling is an ever-changing concept which evolves each day as the human being is changing constantly. Traveling is an ever-changing concept which evolves each day as the human being is changing constantly. The fast-pace life of the modern world requires new styles and ideas to help people slow down and relax through traveling, rather than rushing from one touristic attraction to another, feeling even more exhausted than before. Slow travel is about developing a different mind-set toward traveling in a way that it becomes a deeper, meaningful experience. Instead of visiting many attractions or cities in a very limited period, slow travel encourages the travelers to dedicate sufficient time to take in their surroundings and form a meaningful connection with local culture and people. This way, the travel will turn to an impactful experience which broadens our vision toward life, instead of squeezing as many sites as possible in a few days which makes the travel an exhausting experience at times. 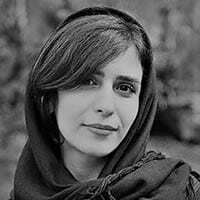 Is it possible to experience slow travel in Iran? 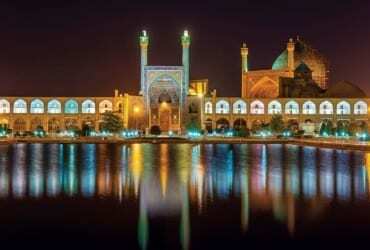 Iran is undoubtedly a vast land with many different destinations and attractions. In fact, by focusing on a specific part of the country, you will have a totally different experience from other places, as the sights, sub-cultures, people and even languages differ greatly from each other. So, maybe it’s not a bad idea to escape the usual itineraries to Iran and instead, consider a less touristic plan including off-beaten paths. Substituting internal flights with train, car or even bike will give you the opportunity to explore each destination more thoroughly and slip into the pace of a new culture. For most Iranians living in Tehran, traveling to the northern cities of the country is normally the first and most suitable option, as the mesmerizing views of mountains, forests and sea offer the best opportunity to stay away from the day-to-day life of the capital. However, there is a lot to experience here if you plan to enjoy a slow travel, exploring small cities and villages on your way. You can start your trip in northeastern part and end it in northwestern part of Iran to explore the beauties of different places on your way at a less stressful pace. If you are physically prepared, renting a bike can be a joyful experience and if not, you can take short trips by car or bus from one city to another. You will pass through dense jungles, green hills, waterfalls and mountains, beautiful shores and rural areas with old houses and interesting people. The gastronomy of this region is also very delightful and is among the most delicious Iranian foods. A wide range of meals prepared with organic vegetables, fresh fish and delicious rice will be your options throughout your trip. You can even wander in the daily local markets and buy the fresh ingredient to prepare yourself a great meal! Staying with locals is very easy here as many people rent their houses or rooms to travelers. In addition, many local residences have been developed in recent years which offer you a first-hand experience of rural life and food in the north part of Iran. In the west part of Iran, many less-known sights and cities have been located. In fact, exploring the whole area requires days and weeks as this region is very rich with regards to natural attractions and historical places. For instance, if you are a mountain climber and have already explored the famous mountains of Iran, you should definitely consider this part of the country in your next trip to Iran. Also, if you are fond of caves, you will enjoy exploring many of them by spending a few days here. The nature in some parts of this region has remained almost intact so sightseeing on bike or car would be a joyful experience as well. Stay with locals and try their foods which are mainly prepared with fresh meat. What about exploring the central parts of Iran and visiting the nomads living between the mountains? One of the best examples of slow traveling can be experienced here through living and migrating with nomads. This unique experience will allow you to taste the feeling of a very authentic lifestyle which is totally away from any kinds of technology, noise or pollution. In addition, you will have the chance to be a part of their community by becoming fully engaged in the process of bread-making, shepherding or other activities which they do on a daily basis. There’s nothing quite like travelling by train, listening to the rhythmic rumble as the wheels’ clack over the tracks and the world flashes past the window of your compartment. Boarding the train will lead to an iconic experience of natural and picturesque landscapes almost impossible to see on a road trip. It will provide a unique and memorable experience for travelers with a sense of adventure. 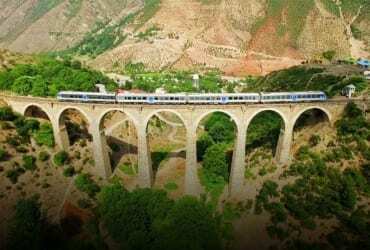 SURFIRAN train tours are based on rediscovery of Iran railway by having the combination of taking bus, exclusive train and even walking along the railway. The train has been planed to stop in any places which are like a footstep in the train history, in order to visit and take photo by tourists.